Fingerless gloves are a great solution if you want to protect your hands from cold, but hate the loss of flexibility and fingertip sensitivity that comes with most gloves. The Ejendals Tegera 790 Fingerless Outdoor Work Gloves are warm winter gloves with an innovative design that allow optimal freedom of movement, making them ideal for hunting, fishing and shop work. The Tegera 790 Fingerless Work Gloves are designated Category I gloves, which means that they are suitable for minimal risks only. 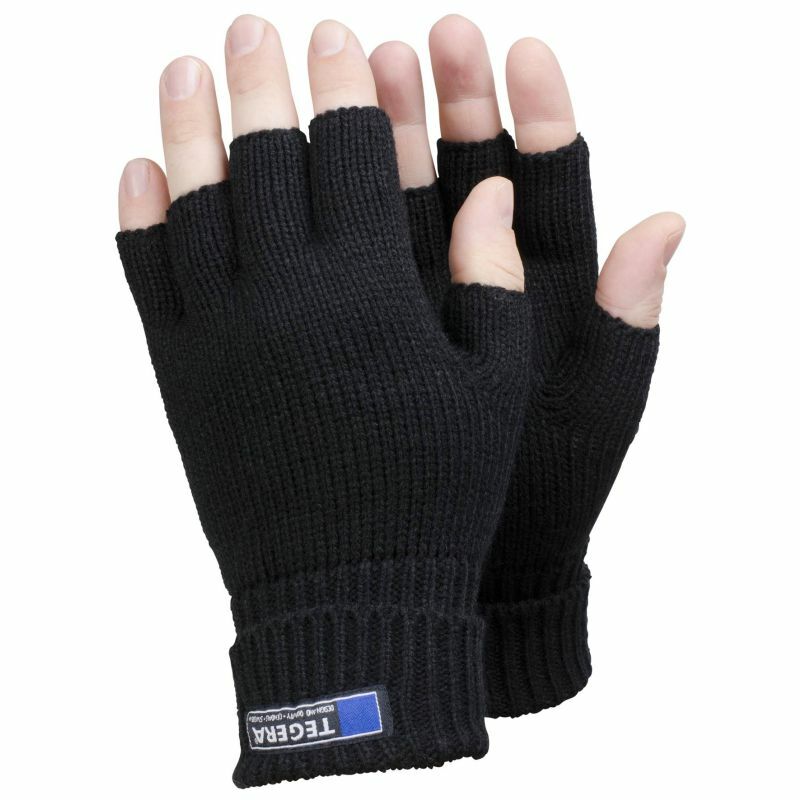 The 790 Fingerless Gloves are available in three sizes that should suit the hands of most users. Please measure the circumference of your hand around the knuckles (excluding the thumb) with your hand open and your fingers together, and the length of your hand from the tip of your middle finger to your wrist.